With your support, we protect ecologically sensitive lands on our Moraine, forever. Your actions help protect majestic forests, sensitive wetlands, working farmlands, rolling hills and meadows, lakes, rivers and streams. And you help save wild and at-risk species like Monarch Butterflies, Eastern Wood-Pewee and Jefferson Salamander. Read more about each special and unique property by clicking on the municipalities! There is a ridge that runs through this property and provides an interesting contrast between the damp forest at the base and the mature upland forest at the top. 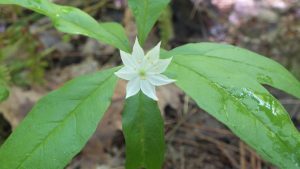 As you make your way up the slope you are treated to a healthy collection of forest wildflowers including hepatica, bellwort, trilliums and ferns. Slowly, the landscape seems to transform as you breach the summit and stand to survey the path you just took. The forest understory opens up and you are treated to a view of deer silently making their way through the trees. There is a magical feeling here that helps you relax and enjoy the moment. As you leave the property you are forever changed. It is easy to see why these donors felt so strongly about protecting it. Working farmland and headwater streams can go together! 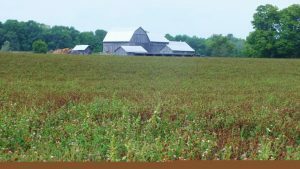 We’ve been able to protect both through a partnership with our sister Land Trust, the Ontario Farmland Trust. The horses roam in pastures, the crops grow in working fields, and the forests and buffers protect the Headwater streams that eventually become the Nottawasaga River. Hundreds of trees and shrubs have been planted along the stream to ensure good water quality as it moves through the property. 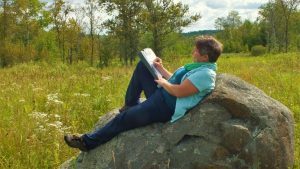 Glacial Erratic boulders can be found throughout the property, echoing back to the initial forming of the Oak Ridges Moraine. Tucked into a far corner of the Moraine in the most upper reaches of the Nottawasaga watershed, this is where some of the waters enjoyed at Wasaga Beach come from. 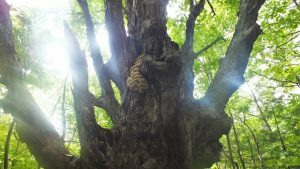 The 26 acre Fayle property has been lovingly tended over the years with a Forest Management Agreement in place. A much loved and enjoyed heritage home complements the property and setting. This land has seen so much. 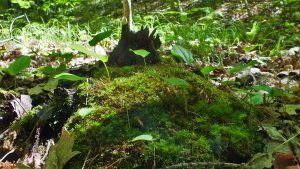 It stands witness to the changing climate which can be physically seen as the property supports Carolinian and Canadian Shield species together! The property is a joy to walk through, and the old sand pit along the trail demonstrates how easily the Moraine shifted to blow sand once the original trees were cut down. 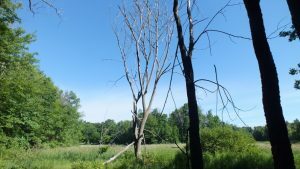 An early conservation easement on this 43-acre property has now seen two transfers of ownership which clearly shows that there is continued interest in purchasing lands that protect the upper reaches of Lynde Creek. Killdeer, a common plover, can be found foraging and nesting in the flatter areas. They run a few steps then stop, looking for insects they may have stirred up. At times it displays an interesting “broken wing” act – pretending its wing is broken to lure predators away from its nest. 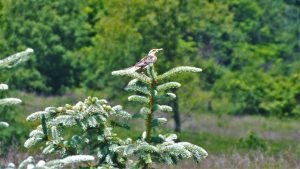 Threatened species such as the Eastern Meadowlark and the Bobolink have also been seen flying and singing on the property. Like the property above, this 53-acre property has changed ownership with active interest and activity to conserve the environmental features of this area. In 2013 the owners decided to plant native trees in the deciduous bush area, and now natural seeding is progressing from the remnant upland bush. While walking along the agricultural field and into the forest, one can sometimes find Wild Turkeys roaming and Turkey Vultures soaring above looking for their next prey. This island of green is the remnant of a family farm that has been developed for the growing population in Aurora. The McLeod family donated this property to ensure that the woodlands they loved so much would be protected forever. In 2015, this site was chosen for one of our first BioBlitz activities. The day was spectacular and the birds, plants, and other critters let us know they were there. We counted over 300 different species that day, and we KNOW there are more. This truly is an island oasis of green in an every growing urban landscape. The pressures continue here, but we are hopeful that strong stewardship, led by volunteer community support will result in a unique opportunity for nature appreciation. In the early 1970’s, Ernest Harding Bishop purchased some land in Cavan township as a weekend retreat for his family. His daughter, Kate Bishop, relays stories of taking the train from Toronto to the property just outside Bethany Ontario. Her father would meet them at the train and they would spend a weekend or a week at a time exploring the forests and the Cavan creek. Anyone who has visited the Centerville Creek knows the serene beauty that makes up the landscape. This property is no exception! A Provincially significant wetland lies at the heart of the land and provides a home for many rare species. Our Conservation Easement will ensure that the frogs, birds, and other critters will continue to sing, fly and crawl for generations to come. Imagine a property that provides shelter to almost 10 species at risk? The word refuge isn’t powerful enough to describe it! Through active private stewardship, this natural oasis continues to thrive. 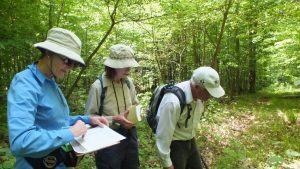 This 10 acre Conservation Easement demonstrates the landowner’s positive stewardship interest, including planting (endangered) American Chestnut and Cucumber Trees. 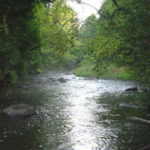 The property is in an area of High Aquifer Vulnerability and part of the Innisfil Creek Subwatershed, with waters flowing into Georgian Bay via the Nottawasaga River. 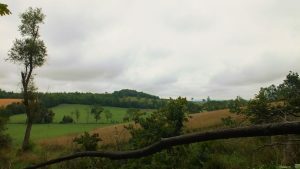 As you get to the top of this rolling landscape you can see for miles! This beautiful property stands as a stunning example of the topography of the Oak Ridges Moraine. 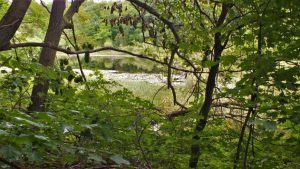 You can also venture into the valley and see where the Cold Creek cuts its way through the property as it works its way toward the Humber River. On a clear day the northeast section of the farm commands an impressive view, where the skylines of Mississauga and Toronto can even be seen! 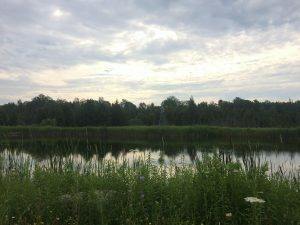 As Ontario’s 500th Ecological Gift, this property protects habitat and groundwater and has geological and historical significance. Glacial erratic boulders are dotted along the landscape, which are huge rocks transported far distances from the last glaciation. The area has been identified as being potential habitats for numerous Species at Risk such as Eastern Meadowlarks and Bobolinks, and on top of that, it is believed that the area used to be part of a First Nations settlement. If you listen closely in the forest at night, you might hear the threatened Eastern Whip-poor-will singing! 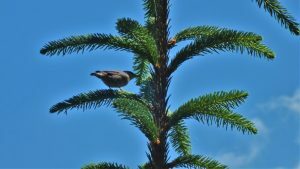 Although small, the protected forest is an important link between a variety of habitats adjacent to it, which help threatened species such as the Eastern whip-poor-will, Bobolink and Eastern Meadowlark survive. The property is also a significant link in protecting precious local and regional groundwater, stream water, and wetland resources. Working farmland is an import ant part of the Moraine landscape. This beautiful farm in Northumberland County continues to grow a variety of crops and also has a wetland within the Cold Creek watershed. 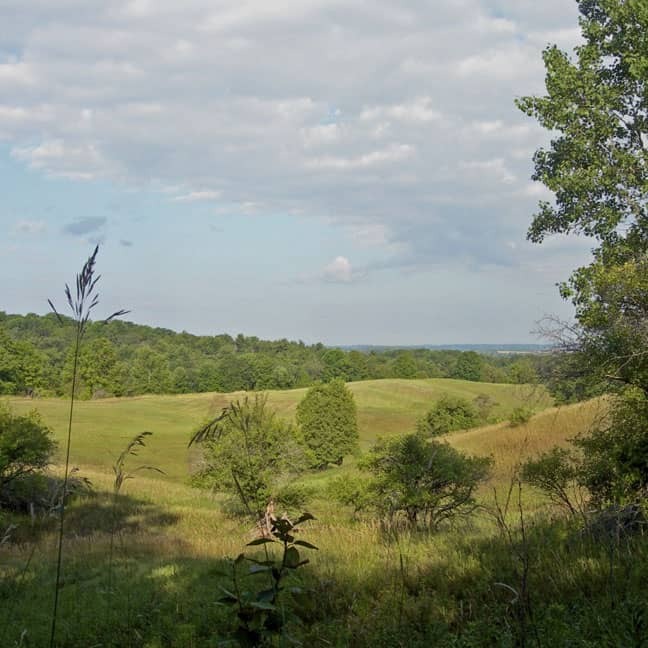 This Conservation Easement protects the property and all its wonderful features. On any given day during the monitoring season, we’ve been blessed to see a variety of salamanders and turtles crawling about! 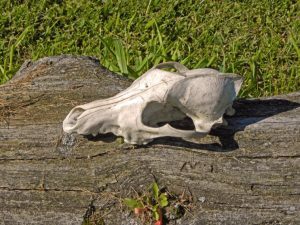 What’s more, the landowner frequently finds coyote skulls and other bones on the property that fascinate his grandchildren! The success of protecting parcels of adjacent lands is evident in this early 199-acre conservation agreement which impacts on the flow of waters to the Pigeon River via Fleetwood Creek. If you look closely on the forest floor you can see the fascinating Indian Pipe flower. This plant does not have any chlorophyll, so it appears ghostly white and feeds off of the roots of nearby fungi, trees and decaying plant matter. 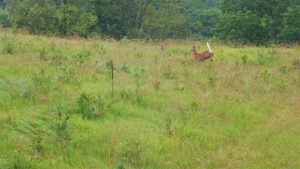 The property includes an active farm, hardwood forest, conifer plantings, some regenerating fields and two natural ponds. The valleys are deep, the hills are alive, and the wildlife is spectacular. On a quiet walk through the reforested areas, it isn’t uncommon to watch deer silently make their way through the valleys as they seek shelter of the mature forest to the south. 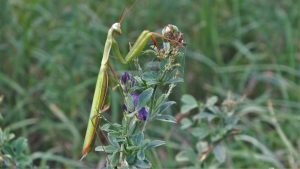 Grassland birds thrive here, and the diversity of life can be felt as well as seen. There is a reason this valley is so happy! We are proud to work with the Regional Municipality of York on our first joint ownership acquisition. We are thrilled that this property is also part of the Oak Ridges Trail, and can be enjoyed by visitors year round. Deep in the forest is a giant grandmother Maple that has populated the forest with her young. She’s a gentle giant, and she shares this magical land with basswood, hemlock, and even endangered butternut trees. 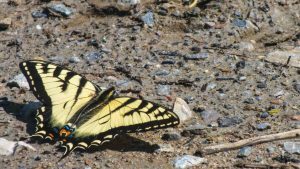 As you make your way across two properties, the ORM trail will take you past a vast and well visited wetland where a host of critters can be seen flying, swimming, or pausing to drink. 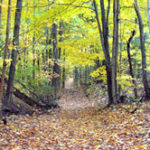 This is a wonderful adventure, worthy of a trip along the Oak Ridges Trail. 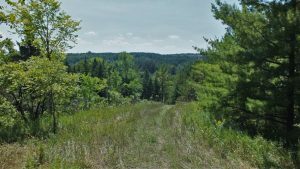 Over 100 acres in total, these two properties are a treasure in King Township. 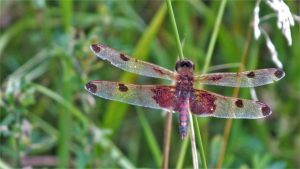 Old farmland offers spectacular opportunities for grassland birds, butterflies, and dragonflies. The Slokker property is owned by TRCA and the Land Trust holds an easement. It is the place to go to see beautiful things with wings that call this property home! 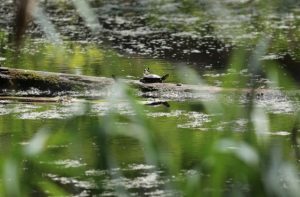 Trees have been planted by TRCA and York Region, and the wetland continues to provide a haven for ducks and turtles. Bobolink and Barn Swallows are just two of the birds that forage and nest here. 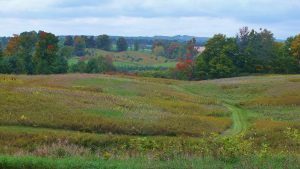 A family in King Township has come together to ensure their rural land legacy is protected forever. 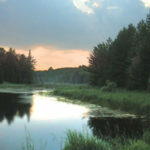 Over 370 acres is protected through four different agreements that demonstrate the deep connection they have to this land. And it’s easy to see why! An ancient kettle lake sits on the property and was formed by the melt waters from the last glacial period over 12,000 years ago. That’s OLD! Surrounding the shores are beautiful forests and meadows. The varied habitats within this protected area provide home for several bird species of note which will benefit from the use of the property as a registered organic farm. Beth Harper bequested her family property to the Land Trust in 2007. 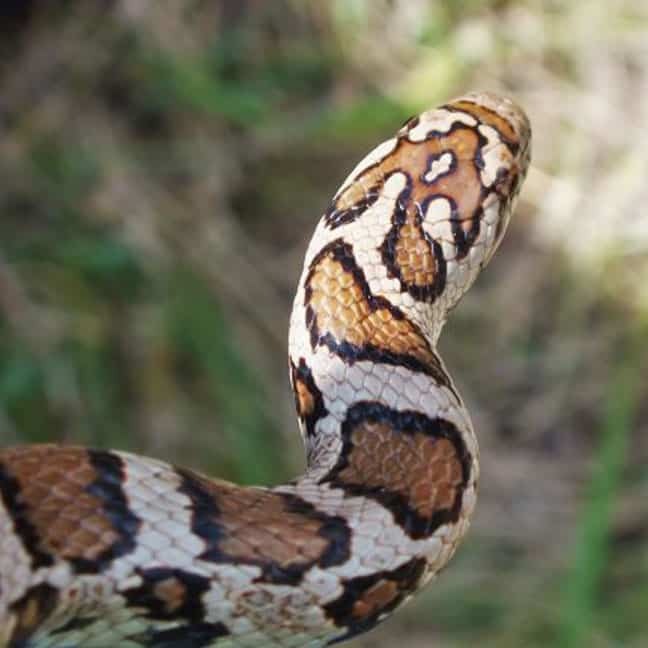 This special gift has been lovingly adopted by a volunteer property steward who plans invasive species management days, clean ups, and can usually be found roaming the property and soaking up the beauty. 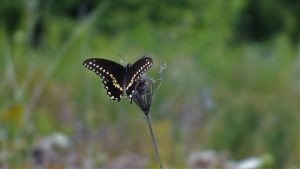 In 2016, the property was designated as a Monarch Way Station, recognizing the sensitive habitat of milkweed and grasslands that this property provides for the butterfly. In the valley sits another kettle lake, and if you wish to venture into the mature forest on her shores, you can find a viewing platform to sit and ponder, or simply watch the world go by. No matter what time of year you go, you’ll find something camera worthy! If you would like to view the property and pull a few garlic mustard plants along the way, contact us and we’ll set something up. With your support, we were able to protect our 56th property, 10 acres located near Happy Valley Forest. This beautiful, steep valley forest was donated by a former Board Member and his wife, who were determined to protect it for future generations. 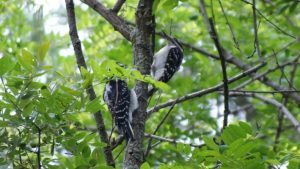 The forest provides habitat for several species at risk in the Happy Valley Forest area, including Eastern Milksnake, and potentially the Cerulean Warbler and Red Headed Woodpecker – and is a wonderful addition to our protected properties on the Moraine. You can see the love that has been planted here. It grows in the form of trees but it blooms eve ry year! The original donors planted thousands of trees that converted the barren landscape into a natural wonder to behold. Plantations, grazing fields, and wetlands collide together to create a patchwork of environments that dance in perfect unison. The wildlife here is astounding! Foxes, deer, hawks, coyote, and grassland birds are regular visitors. It’s a lifetime of effort, love, and compassion that has transformed this landscape and we are honoured to protect it for future generations. The Humber River is one of our most iconic features! As a Canadian Heritage River, there are both natural features as well as the cultural connections that make these two properties so intriguing. The list of rare species on this property is impressive and shows the significance of protecting this land. The Ebony Jewelwing damselflies are so prolific one could almost get bored of seeing them (but that would never happen!). The forest along the shores of the river is home to some of the largest maple trees we’ve seen in a long time. We just couldn’t pass up the opportunity to hug a few as we passed by! 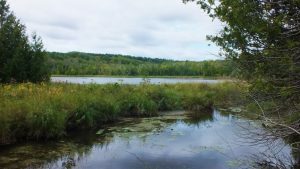 The Conservation Easement donations of these two properties also included the protection of agricultural land that had the potential for development. With the restrictions established by our donor, we can all be sure that this farmland will continue to be working land for future generations on the Greenbelt. 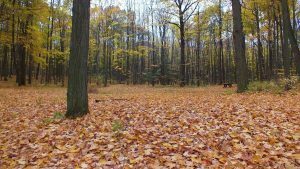 This hardwood forest is a stunning display of the rolling topography of the Oak Ridges Moraine. Mature stands of black cherry, hemlock and oak run up and down the sides of these hills. 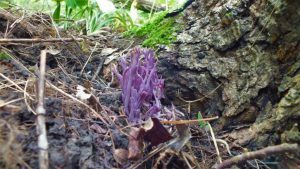 During our 2017 BioBlitz, over 80 species of mushrooms were found! Who would have thought that we had such diversity and colour in our fungal families here in Ontario! This property boasts hardwood forests, a wetland, a sand pit, and plantation. The diversity of habitats is a testament to the diversity that is found all across the Moraine. As you speed down the 404, you likely haven’t noticed the stunning landscape on the right side near Bloomington. It’s there, sitting quietly and offering nesting and foraging habitat for deer, bobolink, and monarch butterflies among others. This farmland area was donated to the Trust and, through wise and thoughtful stewardship, continues to be farmed. The wetland area is almost hidden among the grasses and wildflowers, but it is there and the red winged blackbirds will certainly let you know if you venture too close! Some of the most spectacular jewels on this property are tiny, and it would be easy to pass by them without notice. But if you slow your pace, crouch down and gaze, you’ll find them – and they won’t disappoint! Sometimes property protection is like a jig-saw puzzle. That sure is the case with Kawartha Conservation’s East Cross Forest Conservation Area. Our Land Trust helped secure funding and holds two Conservation Easements over two small properties as part of the total 1,334 acres currently protected! The forests here are exceptional and provide habitat for the rare Red-shouldered Hawk, which requires large tracts of forest with mature trees and accessible wetland features. This property is open to the public for hiking and horseback riding. For more details and directions click here for the Kawartha Conservation site. The East Cross area contributes a great proportion of ground water discharge which eventually drains into the Scugog River, the source of drinking water for the Town of Lindsay. Considerable amounts of this 200-acre conservation agreement are still being actively farmed, which is not an unusual activity for lands protected under easements. 40 bird boxes around the property, individually installed by the property owner, have proven successful in attracting Eastern Bluebirds and Tree Swallows in the past. Belted Kingfishers, Barn Swallows and Sandhill Cranes have also been observed among many other birds and wildlife. 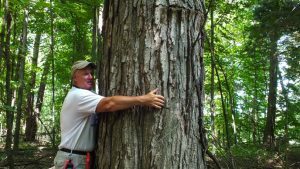 The owners have planted over 40, 000 trees in recent years making this 152-acre property a showcase for successful conservation. 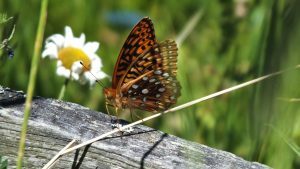 A Conifer plantation, a mixed wood forest, a hardwood forest, meadows, wetlands and three gardens help attract an amazing variety of species, including threatened species such as Eastern Meadowlarks, Bobolinks, Barn Swallows, and Monarch butterflies. Continued interaction between the Trust and landowners on an annual basis ensures that the Trust can assist in finding resources or solutions to further these incredibly admirable stewardship efforts. Wander through the forest and you’ll wonder about all the beauty around you. This mid-sized property is part of a large forest complex and the diversity that this property provides is very important to the health of the larger landscape. 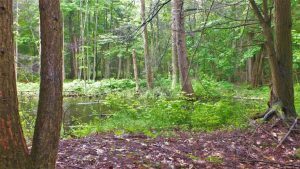 Tucked away in the hardwood forest are a series of vernal pools where salamanders gather in early spring to take on a mating ritual worthy of spectators! They’re hard to find but you’ll see their eggs floating just under the surface as the spring continues toward summer. Of course, travelling through the forest can be challenging because there are small frogs and toads at every step! 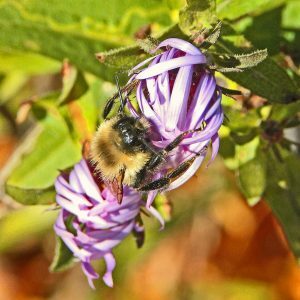 These donors are dedicated to caring for the natural features on their property and to ensuring that the wildlife have a safe place to call home. The forest of this stunning Nature Reserve has a small tributary of Bogart Creek running through it. The babbling water reminds us of the importance of protecting our drinking water on the Moraine. Bird song in the summer reminds us that while the forest may seem quiet and still, there is a lot of life happening here. They say that when you plant a tree, you do so for future generations. That is certainly true about the Rooke Nature Reserve. We are already seeing the transformation come to life as the trees reach toward the sky. But there is more to this property than just the trees. There is a quiet stream that makes its way across the property, trickling over the rocks and feeding the planted trees and natural forests that make up the Rooke Nature Reserve. In the open field, you can watch the barn swallows’ acrobatic flight as they catch the insects flying overhead. The love that has been invested into this property is a true gift for our children, and their children. Venture off the road on the Oak Ridges Trail and suddenly the world comes alive. Woodpeckers sit high in the trees and watch you with as much curiosity as you might have for them. Between the massive trees that mark the old fence line, you’ll capture glimpses of the rolling hills of the Moraine. A little further along and you connect with a much older forest, and another network of trails to take. The options are vast, the enjoyment is endless. Small conservation opportunities are important too as this 10 acres of completely forested property illustrates. While the property may be small, it is part of a much larger forest community. Spring time comes in with a bang here, with trilliums, blue cohosh, and trout lilies carpeting the ground of this mature forest. Fall is another spectacular time, as the colours of the canopy dance against the crisp blue sky. This property is a delight to visit and always provides us with a story to tell. 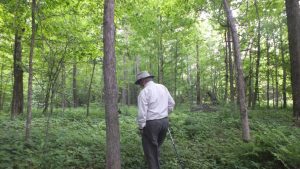 The donors of this easement have moved now, but the new landowners are caring for the land with just as much love and commitment. Two generations have come together to protect over 300 acres of gra zing land, forest, wetland and shoreline. As you make your way through the grazing fields you’ll notice the butterflies and grassland birds flying overhead. As you bring your eyes to the horizon you’ll be treated to some spectacular vistas of the tumbling landscape. Way back in the property is a hidden gem of a wetland, with a display of diversity worthy of the hike! It’s where we like to pause to do our paperwork. Beyond the wetland is a forest of cedar, birch, ironwood and more. Along the trail you can even find a yellow birch and a maple that have completely grown together! Mother Nature always delights on this property. 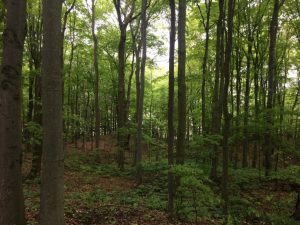 The first land transaction entered into by the Oak Ridges Moraine Land Trust was this fee-simple donation of 17 acres from Ken Purvis (now deceased). Immediately beside the entrance to Lake Ridge Ski Club on the Chalk Lake Road, the site is too hilly for any mechanical planting so slower natural regeneration of shrubs is being encouraged. From here it’s down hill all the way for the waters of one of the many branches of Duffin’s Creek that begin on the Oak Ridges Moraine. 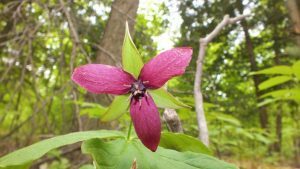 During our June 16th 2018 Uxbridge BioBlitz, volunteers and staff were able to identify over 400 species on this property! Highlights included a Pileated Woodpecker soaring above, Barn Swallows flying through the meadow, and Big Brown Bats swooping down to get a drink from the pond. The property owners are also working hard to ensure that the invasive species Dog Strangling Vine (DSV) is kept under control. This 66-acre property includes a forest with 50+ year old trees, a stream feeding into Duffin’s Creek a cedar swamp. The area is part of the Goodwood-Glasgow Provincially Significant Wetland Complex and is of High Aquifer Vulnerability, meaning that the groundwater below is more sensitive to pollution. On a clear day you may see a Red Tailed Hawk in the sky, hunting for its next prey. A Kettle Peatland bog is the star of this property; formed after the last ice-age when huge blocks of ice carved depressions in the surrounding landscape. 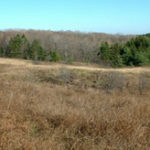 This bog is part of the larger Stanford wetland complex and is believed to be one of the few remaining parcels of mixed forest and wetland left in the Uxbridge area. The wetland, like others, is integral to water filtration and flood control. Due to its unique landscape, Pitcher plants (Sarracenia purpurea) can be found throughout the area! 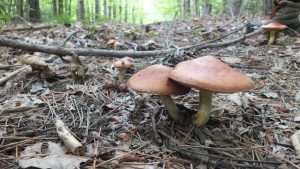 Mushrooms abound on this 48 acre conservation easement which, apart from the lands adjacent to the Oak Ridges Trail, is completely forested. The needle and leaf litter from this forest make it a perfect mix for mushrooms to pop through the soil and delight us with their diversity, colours, and shapes. If you listen closely you can hear the birds in the canopy overhead, singing along with your footsteps. Come for a wander but be sure to bring your camera!Click here for the ORTA website. Our Moraine is 12,000 years old, 160 km long and covers over 470,000 acres, and is part of Ontario’s Greenbelt. At almost 2 million acres, ours is the world’s largest permanently protected greenbelt, stretching over 325 km from Rice Lake in the Oak Ridges Moraine to Tobermory to the Niagara River. It keeps our farmlands, forests and wetlands safe and sustainable, and is the solution for provides fresh air, clean water and healthy local food. Thanks to our partners and friends, you can also find your property and also check out publicly accessible hiking trails! Learn more by watching this video about the historical formation of the Moraine and what services it provides to us every single day! We are deeply grateful to our donors who have entrusted us to protect their properties forever. As part of our promise, we monitor each property on an annual basis, look for changes in the habitats and we also record species sightings. 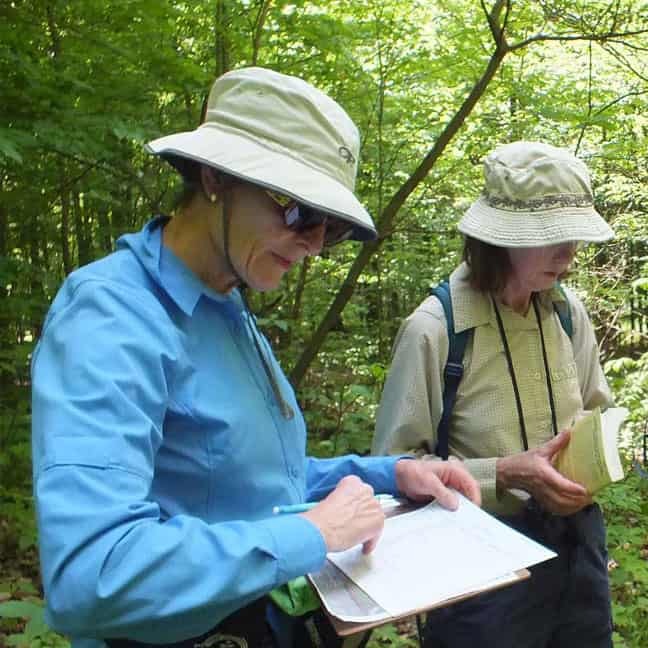 This vital data helps identify priority habitats, informs conservation recommendations and allows us to plan stewardship projects to protect our most vulnerable Moraine residents. And, with permission of landowners, we share our data with Ministry of Natural Resources Natural Heritage Information Centre to update the provincial records. 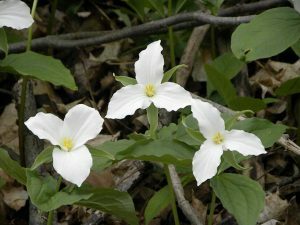 Our Moraine is home to a stunning and diverse array of wild and at-risk species. Protecting land on the Moraine means protecting habitats where they thrive. This includes common wild species you love, including Red Fox, Pileated Woodpecker, and Redbacked Salamander. 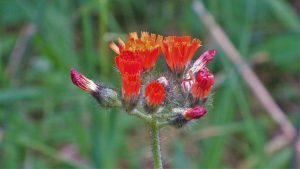 And it also includes at-risk species, including the endangered Butternut, threatened Meadowlark and species of special concern Monarch Butterfly. Our Starcliffe Nature Reserve has been certified as a Monarch Waystation, meaning it provides crucial habitat for migrating butterflies. For years, our volunteers have been hand-pulling garlic mustard, an invasive species, to help ensure the milkweed plants in the meadow continue to thrive and provide nourishment for our Monarchs. 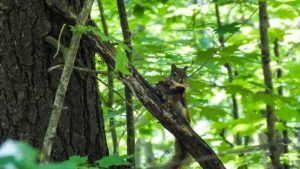 From the towering old-growth forests of Happy Valley, to the globally threatened ecosystems of savannah and tall-grass prairie, the Oak Ridges Moraine boasts many amazing habitats. The Moraine is 30% forested, has 130 wetlands, many kettle lakes and centuries-old wood lots. All these green spaces create spectacular hiking and rejuvenating natural encounters for thousands of people, all year round. However, what makes the Moraine even more unique is the green oasis it provides to wildlife in the most densely populated region in Canada. The continuous green corridor of the Moraine allows wildlife species and ecosystems to remain connected in a way that is vital to the health of each, and that makes the whole of the Moraine a very special place. 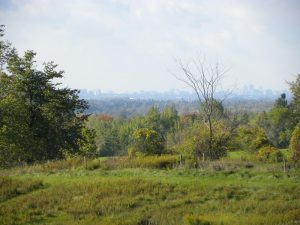 The Oak Ridges Moraine forms the most continuous region of forest cover surrounding the GTA. The forests lining the river valleys that flow north and south are critical migration routes for birds and mammals. 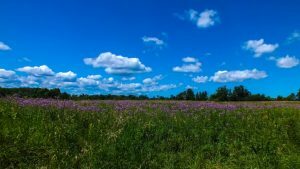 Open meadow habitats exist on the Oak Ridges Moraine for two reasons—either they have become established on old fields no longer used for farming, or they are part of an original ‘prairie’ or ‘savannah’ habitat. You may be surprised that high quality examples of this precious habitat are now rare, covering under 1% of the Moraine. Wetlands are seasonally or permanently covered by shallow water, as well as lands where the water table is close to or at the surface. The four major types of wetlands are swamps, marshes, bogs and fens. Most wetlands in the Oak Ridges Moraine region are swamps, with trees and shrubs in standing water. 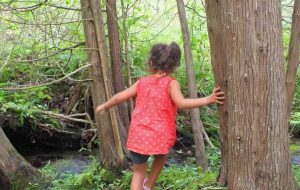 Swamp areas are wooded wetlands consisting of deciduous and coniferous trees such as White Elm, Red and Silver Maple, Black Ash, Hemlock, Tamarack, White Cedar and a variety of shrubs. Marshes are the most productive type of wetland and can be recognized by the presence of cattails, grasses and sedges and by the absence of trees. Wetlands provide enormous diversity to the natural landscape, conserving water flow to maintain streams and the groundwater table. Their ability to store water can reduce the frequency and severity of flooding as well as drought. 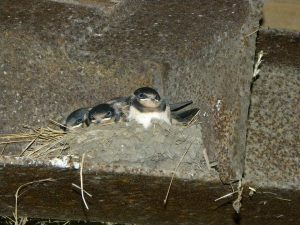 They are used as important habitat by hundreds of species of wildlife and provide critical nesting habitat for many of these. As the environmental ‘circulatory system’, streams are one of the most vulnerable natural features of the rural landscape. Too often, stream banks, springs and small tributaries that provide summer-long flow of water are cleared of vegetation. This severely degrades aquatic habitat by removing shade and thereby increasing water temperature. For example, the removal of plants and trees from stream banks has destroyed many trout habitats, since the salmonid family of fish species require cool water and overhanging vegetation for shelter. In addition, plant roots hold stream banks in place and their removal often causes erosion, which can seriously impact the aquatic habitats downstream. 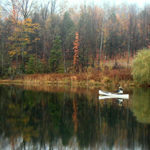 The landscape of the Oak Ridges Moraine is peppered with various bodies of water including many ponds, lakes and wetlands. Kettle lakes, peculiar to the glacially-impacted landscape, form when huge blocks of ice remain, half buried in sand and gravel, after a glacier’s retreat. When the ice block melts, a hollow is left that eventually fills with ground water, becoming a kettle lake or wetland. Sometimes lakes develop into bogs—unique vegetation communities dominated by sphagnum moss. The moss grows into the lake from the edge and forms a floating mat of vegetation. Trees such as Tamarack and shrubs like Labrador tea colonize these mats over time. A mature bog ecosystem can cover an entire lake, often sheltering rare and ecologically unique species that are adapted to the acidic conditions of the bog. 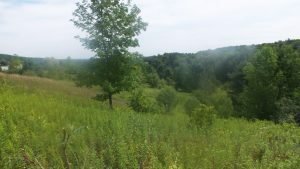 In 2002, the Ontario Government developed the Oak Ridges Moraine Conservation Plan, critical legislation to protect the ecological functions and open spaces of the Moraine. The Coordinated review in 2015-2017 was an attempt to address a “patchwork of jurisdictional responsibilities”. It’s not perfect. It’s not all that’s required. It’s sure to change, and we’ll be part of all those conversations. But it does provide us with a guide for the next 10 years, and it recognizes the Moraine as a system. It looks to the future better than ever before. You can view maps and find out more about the legal and legislative framework regarding the Moraine from the province of Ontario Ministry of Municipal Affairs.